This entry was posted in eat drink and be merry, layout design, operations, philosophy by Trevor. Bookmark the permalink. You suggested a furniture factory and I remembered the charming North Stratford Railroad you’ve mentioned before. I realise I don’t know much about the typical car moves within a furniture factory such as North Stratford’s Ethan Allen plant. It sounds like an industry that should be a great fit for the car types, number of moves, and also for the other more emotional aesthetic it provides. If you ever had time, could you find a place in Acheivable Layouts to work through a generic furniture factory? What kinds of materials or loads in or out and at what frequency? I know we can guess at these but I wonder if there are any examples? Jack Hill once did something similar with Interlake Paper describing how many loads of starch in and at what rate; how much waste out and similar rates. 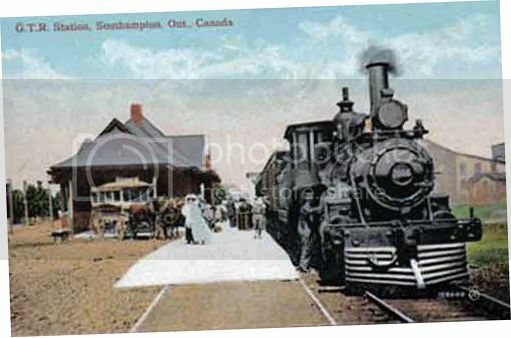 That said, reviewing the article in Prototype Modeler magazine about the North Stratford Railroad, I’ve learned that the Ethan Allen plant in Beecher Falls worked like an auto assembly plant: It received subassemblies (by truck) and shipped finished bedroom and dining room furniture (by rail). 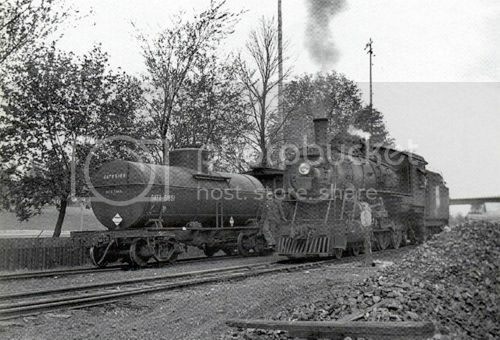 The North Stratford owned about 100 boxcars – many of these used for Ethan Allen shipments. The article notes that 10-15 loaded boxcars would be shipped in a typical month. It was switched about once per week – pulling loads from the plant and replacing them with empties. This was in the 1970s-1980s, and would make for a fairly rudimentary operating session. 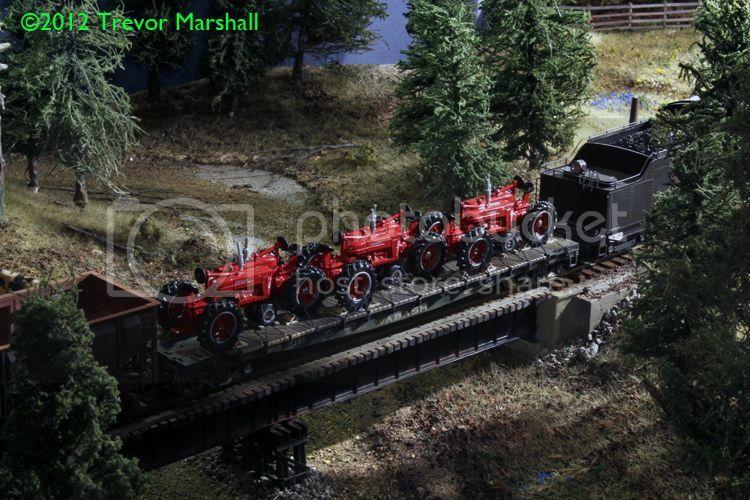 The article’s author suggests that on a model railway, those sub-assemblies come in by rail as well, to make for a more interesting operating session. I agree! Your comments about modest size and play value are spot on. I just returned from the OSOmaha operations invitational in Omaha, NE. Charlie Duckworth’s Bagnall Branch of the MP is a great example of your ideas. My partner and I worked the Eldon Yard for bout 75 minutes. The job was simple: lift the inbound interchange cars, drop the outbound interchange cars, spot 3 loads and place cars on the proper tracks. No puzzles or artificial difficulties. Not more than 10 cars. The job was tremendous fun. The rest of his layout was larger, but who cared, our world was about 18 inches by 9 feet. Rene LaVoise models another MP branch line. His total space is modest. One town wasn’t more than 6 feet long with perhaps 5 spots. Took for-ev-er to complete the work. TOTALLY absorbing. 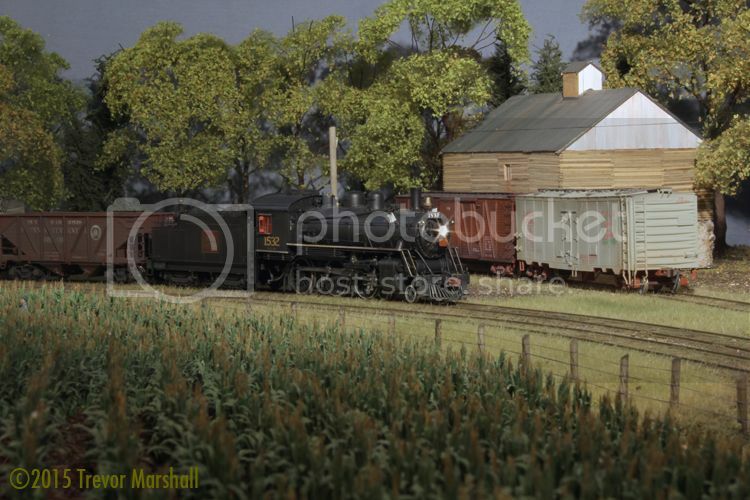 A layout or shunting area need not be large. It must be laid out in a railroad-like manner and run like the real thing. Now, a question about team tracks. You mentioned customers assigned to each spot. How did you decide who your customers are? How do you decide how many cars/week or /month they receive and what is in the car? Good questions. I started with information about my prototype – about the customers that used the railway. Some of that came from books – like the Ian Wilson book about the lines south of Hamilton. Some of that came from this blog – readers who remember the line and those companies that shipped or received on it. – Unloading tractors from a flat car requires an end loading ramp, so the flat car must be spotted at the end of the track. – A company might have a gantry crane for lifting pipe out of a gondola. – A side-loading ramp would allow customers to use a lift truck to unload a boxcar. I don’t worry too much about frequency. I have waybills printed up for each car, describing various inbound and outbound loads. I pick cars at random to fill out trains – then pick suitable waybills from my files.